Although it smashed ashore over the weekend, creating a storm surge estimated at more than six feet in many areas, Hurricane Harvey is just getting started. The Category 4 storm is expected to linger over Texas throughout the week, dumping up to 40 inches of rain. The massive storm is a catastrophe for those in its path and its effects will likely be felt by consumers throughout the country. Already, one quarter of oil production in the Gulf of Mexico has been shut down and Bloomberg estimates that 5 percent of U.S. refining capacity is out of action. Experts have been predicting the storm will have little impact on gasoline prices, saying the extremely heavy rainfall over a vast area of Texas will dampen demand, thereby canceling out any effect on prices. 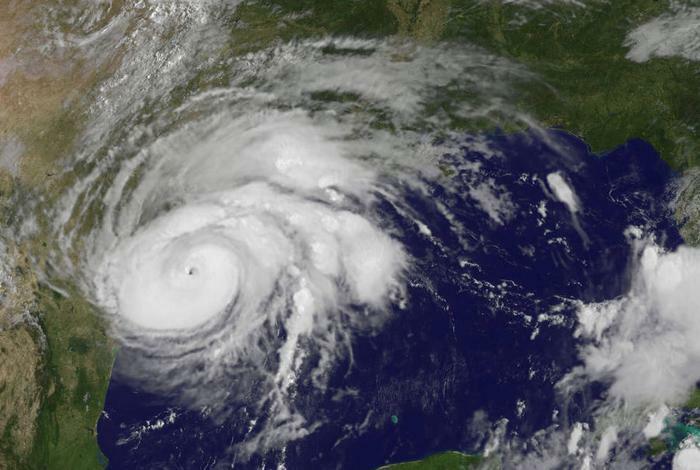 Could be, but in 2005, retail gas prices rose steadily after two devastating hurricanes badly damaged the Gulf's oil and gasoline production capability. It's still too early to measure the extent of the damage to refineries, pipelines and the oil rigs that dot the Gulf of Mexico. In Houston, with a population of more than 2 million, every major roadway was flooded Sunday. 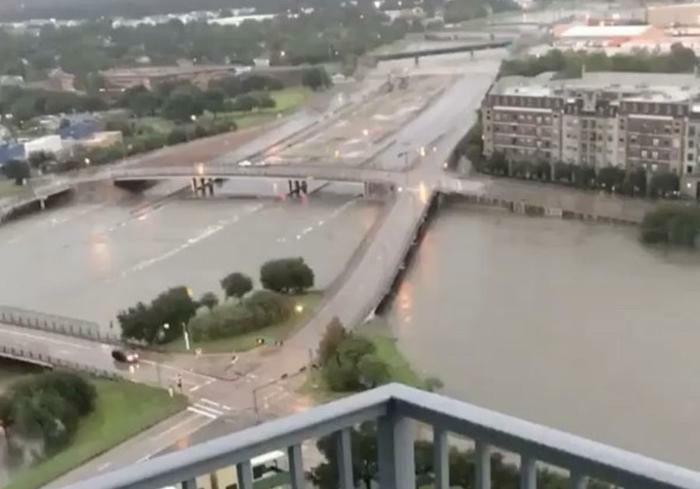 Thousands of motorists were stranded on freeways for hours because off-ramps were flooded with up to 15 feet of water. Harvey was disrupting airline operations throughout the United States, as delays and cancellations rippled out from the storm's center. More than 3,000 flights had been canceled by early Sunday. All flights were grounded at Houston Hobby Sunday, as water covered runways. Hobby is one of Southwest Airlines' biggest hubs and also serves several other major airlines. Bush Intercontinental, a major hub for United, canceled about 75% of its flights Sunday. Two cruise ships that had been scheduled to return to Galveston Saturday were diverted to New Orleans. Passengers praised the crew of the Carnival Cruise Line ships for staying out of the storm's way and keeping passengers safe and comfortable. President Trump was quick to issue a disaster declaration for the affected counties, releasing a flood of federal dollars and personnel to help with rescue and clean-up operations. The U.S. Health and Human Services Department flew in teams of doctors, nurses and other healthcare providers from as far as as California, New York and Minnesota and positioned them around the areas expected to be hardest hit. Veterinarians and other specialists were also in place and ready to go to work. HHS also provided local officials with information from its Medicare database, identifying consumers who rely on life-maintenance machines and processes like dialysis, oxygen, electric wheelchairs and home health services. "These citizens are among the most vulnerable in their communities and most likely to need life-saving assistance in prolonged power outages," HHS said. The Disaster Distress Helpline, a toll-free call center, is available at 1-800-985-5990, to aid people in coping with the behavioral health effects of the storm and help people in impacted areas connect with local behavioral health professionals. Check the temperature inside of your refrigerator and freezer. Discard any perishable food such as meat, poultry, seafood, eggs or leftovers that has been above 40 degrees F for two hours or more. Texas Attorney General Ken Paxton warned residents in hard-hit areas to be alert to scams and price-gouging. “Unfortunately, in the wake of the damage from storms and flooding, we also see bad actors taking advantage of victims and their circumstances. To that end, I’d like to caution everyone in any area that may be affected by Harvey to be extremely cautious with people who may offer to help residents with rebuilding or repairs,” Paxton said. Texans in areas affected by Hurricane Harvey who suspect they are being scammed or who encounter price gouging should call the Office of the Attorney General’s toll-free complaint line at (800) 621-0508, email consumeremergency@oag.texas.gov or file a complaint online at www.texasattorneygeneral.gov. Consumers elsewhere should be wary of appeals for help from charities they have never heard of. The American Red Cross is on the ground providing help to storm victims and welcomes contributions of money, blood and other assistance.